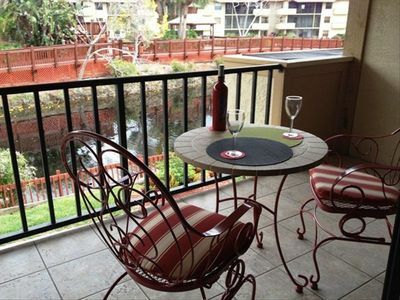 Get out of the cold and enjoy this beautiful private oasis! 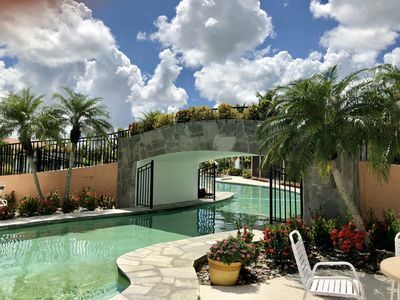 This corner end-unit villa is located in one of north Naples most desirable locations for those who are looking for their much deserved piece of paradise. 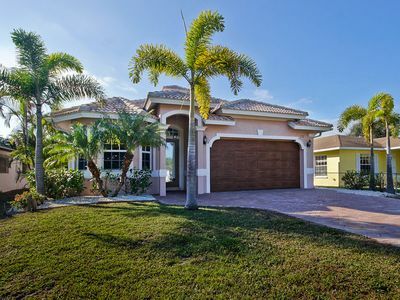 Conveniently located a few short miles away from Naples's pristine beaches, wonderful restaurants and the most sought out shopping areas such as Mercato. This courtyard home boasts 2 bedrooms, plus loft (with pullout couch as a 3rd bedroom), 2 baths, 2 car garage, and granite countertop; recently updated and tastefully decorated throughout. Vaulted ceilings and skylights welcome you in to the home and bring lots of natural light into the open plan living space. 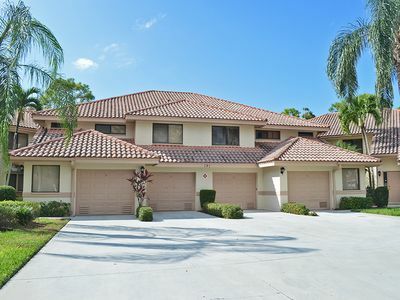 The large master and split guest bedroom both have full bathrooms, and are located on the first floor! 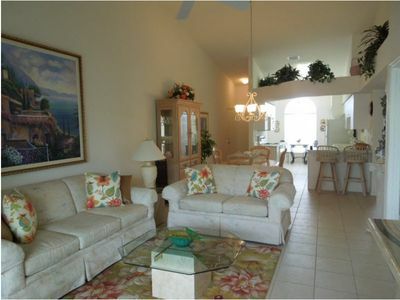 The master suite boasts 22 ft. ceilings and spacious views palm trees. 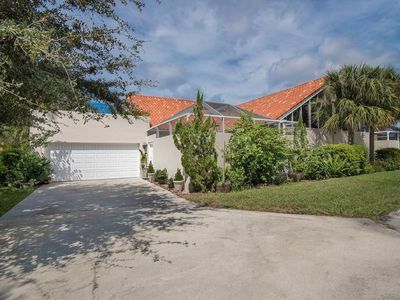 Whether you are enjoying a relaxing breakfast in your large private courtyard or entertaining friends on the open patio terrace featured above the two car garage, you are sure to be a hit with family and friends for gatherings. 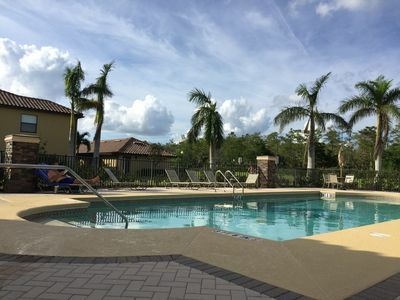 Courtyards at Quail Woods offers wonderful amenities such as a community pool, tennis courts, small lake, and a tranquil view of a private wooded reserve. Take the opportunity to enjoy this uniquely fabulous home on your next vacation. 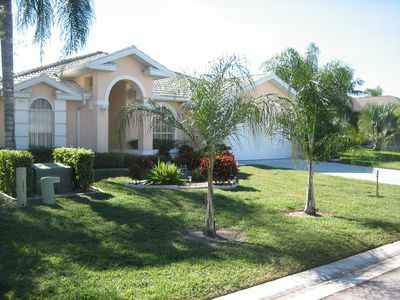 Close to beach - Just minutes to Vanderbilt Beach and Delnor-Wiggins Park. Built and designed by an interior decorator, with top end kitchen and bathroom cabinetry, granite counters and earthy tile throughout. 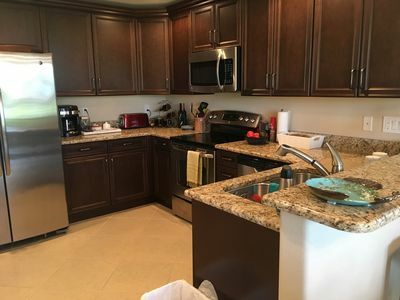 Ceramic stovetop, microwave, dishwasher, ice maker/refrigerator and all cookware/utensils. 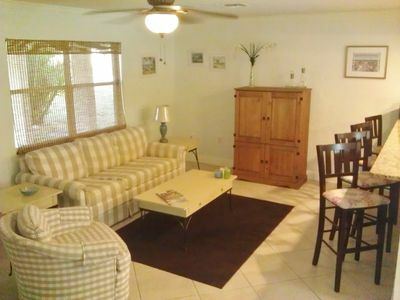 A full size washer/dryer is located in the spacious 2-car garage with automatic door opener. The furnishings have been chosen carefully, with the large master suite which leads to master bath and walk in closet. The guest bedroom has a private ensuite bathroom and shower. 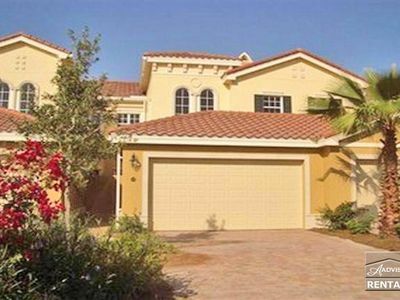 Both master and guest bedrooms have a separate walkout to the private courtyard /lanai. The courtyard is screened in and large size for entertaining or spending your day relaxing with family or friends. 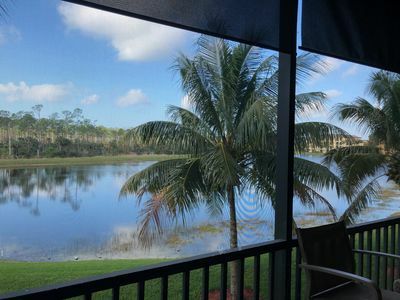 This Townhouse is nestled in an end-unit that has a private wooded area with flowering trees and shrubs attracting hummingbirds, hawks, cardinals and many other birds which you can enjoy from the private screened in courtyard. There are flat screen TVs in all bedrooms, and the loft area, and Wi Fi for your computing needs. Beach chairs, a cooler and sun umbrella are there for your beach days. 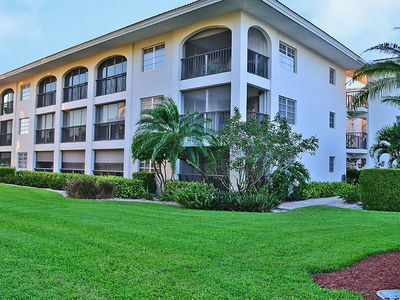 Its minutes away from the wonderful Vanderbilt beach and park, with easy parking, walking paths, restrooms, and showers. An easy drive to a day at the beach to enjoy the sandy beaches, enjoy the water, and perhaps watch the spectacular Gulf sunset! For family fun rain or shine, there is the Golisano Children’s Museum of Naples, Sun-n-Fun Lagoon, and Collier Regional Park with nature area, walking paths, and outdoor water slide less than 2 miles away. If you enjoy shopping and fine dining, the Mercato shopping area has all you need with restaurants, movie theaters, upscale shopping, and Whole Foods Grocery within a 10 minute drive, and other shopping and dining within a mile of the property. About Naples a little part of paradise! Apart from its wonderful beaches and sunsets, Naples has much, much more to offer. It is widely known as the golf capital, with more than a hundred golf courses. The senior’s tour also plays one of its events here in February each year. There are numerous golf courses to fit every level of play. 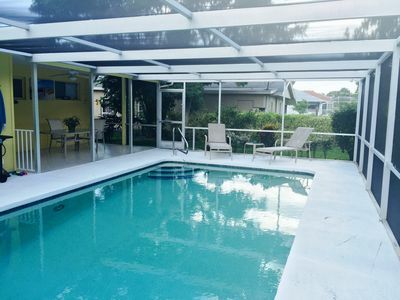 All rental rates do not include mandatory FL rental taxes, $250 damage deposit (returned within a week after rental is complete), and a $150 exit cleaning fee. Association requires that you complete an application form submitted and approved to ensure safety of all association residents and guests. •	Full kitchen with all dishes, utensils, etc. provided by owner. Guests provide their own meals. 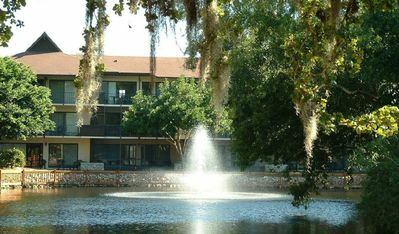 Quail Woods has a community pool and two tennis courts within the community. There are many golf courses within a short drive. 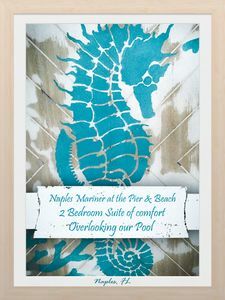 The resort is ideally located within five minute drive to the Gulf of Mexico with its beautiful, stretching for miles, beaches. There are innumerable restaurants and bars, all within walking distance or a short drive. Master bedroom and Guest bedroom have 2 TVs with on demand programming, and Wi Fi signal for internet. Full sized washer/dryer in the townhouse to save you the inconvenience of having to take your laundry to the launderette. Large cottage west of 41 near Vanderbilt. Still have availability winter 2017!! Top Floor, End Unit, Elevatored Building. Never Ending Summer, Sun, Beach, Fishing And Golfing… Interested? 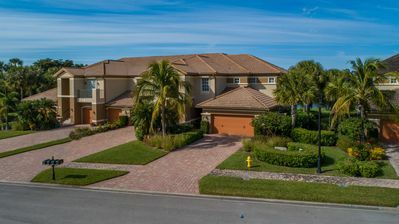 Beautiful Naples Florida Villa! 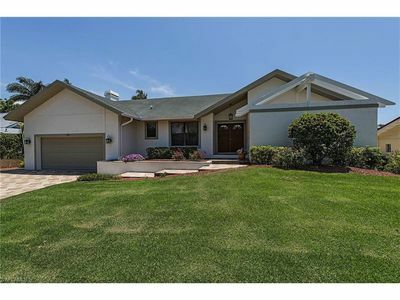 Close to Vanderbilt Beach! Great view, quiet atmosphere, top of the line furniture!! 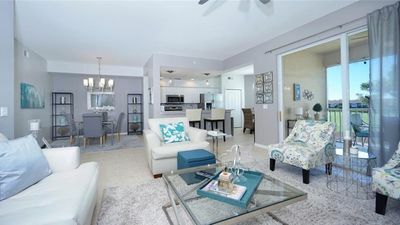 Lakefront - Easy walk to beach and fine dining/shopping on 5th Ave and 3rd St!